This happy little bumblebee will put plush bees on the top of your cuddly list. 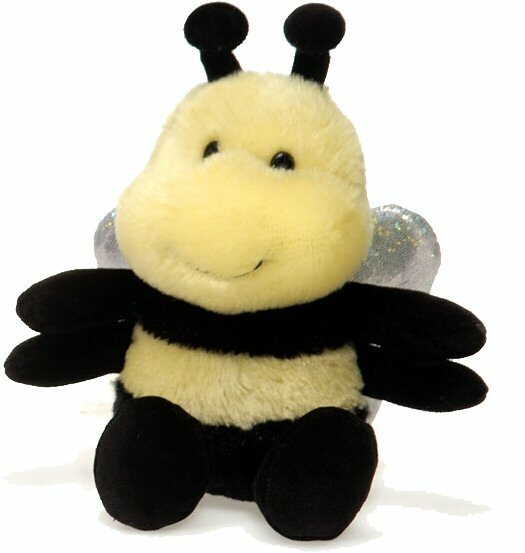 With an adorably sweet face, soft yellow and black fur, attentive antennae, and smiling black eyes and mouth, this bee stuffed animal has six floppy legs and awesome soft iridescent wings on its back. Its huggable body will seal the deal on life long friendship. Fun Facts about Bumblebees: Did you know that bumblebees mark the flowers they have visited with a scent and that the queens hibernate underground?